Sandy, UT – Helen Rae Reese Brinton, 90, passed away March 14, 2019. 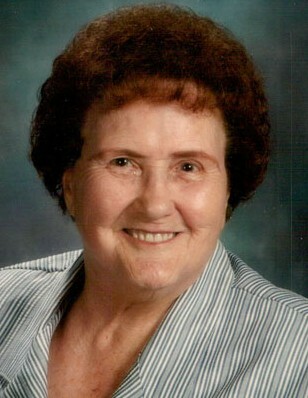 Helen was born January 7, 1929 in Cedar City, UT to Thomas Kenneth and Gertrude Weidner Reese. Helen graduated from Cedar City High School in 1946. Attended and graduated from Quish Beauty School in Salt Lake City, UT. She met her future husband and love of her life, Phil Brinton, while working at Success Markets. They were married August 27, 1949 in Cedar City, UT, and the marriage was later solemnized in the Jordan River Temple. They had two daughters, Gaye and Kim. Helen was an active member of The Church of Jesus Christ of Latter-day Saints. She also served as P.T.A. President at Peruvian Park Elementary and Butler Jr. High. She was employed by Hillcrest Drug and Skaggs Drug, and Walker, First Interstate and Wells Fargo Banks, where she worked for over 30 years before retiring. Helen is survived by her daughters Gaye (Donald) Betenson, and Kim Brinton, her Angel Care Giver. She was Nana to her six grandchildren and 13 great-grandchildren Bryan (Alisha) (Brooklyn, Camden, Drew) Betenson, Brandon Betenson, Amber (Jared) (Luke, Allison, Chelsea) Mann, Ashley (Shaun) (Declan, Hazel, Grayson) Evans, Michelle (Spencer) (Price, Molly, Haddie) Evans, and Michael (Jennifer) (Braxton) Betenson, sister Mary Ann (David) Bentley, sisters-in-law Cecil Reese and Peggy Brinton, and many nieces and nephews. Helen was preceded in death by her dear husband Phil, parents, brother Elden, nephew, and brothers-in-law. At Helen’s request there will be no viewing or funeral. Family graveside services and interment at Mt. Olivet Cemetery. In lieu of flowers, contribute to your favorite charity.